A mellow sunset with the coconut trees at Ali'i Beach Park in Hale'iwa on the north shore of Oahu. 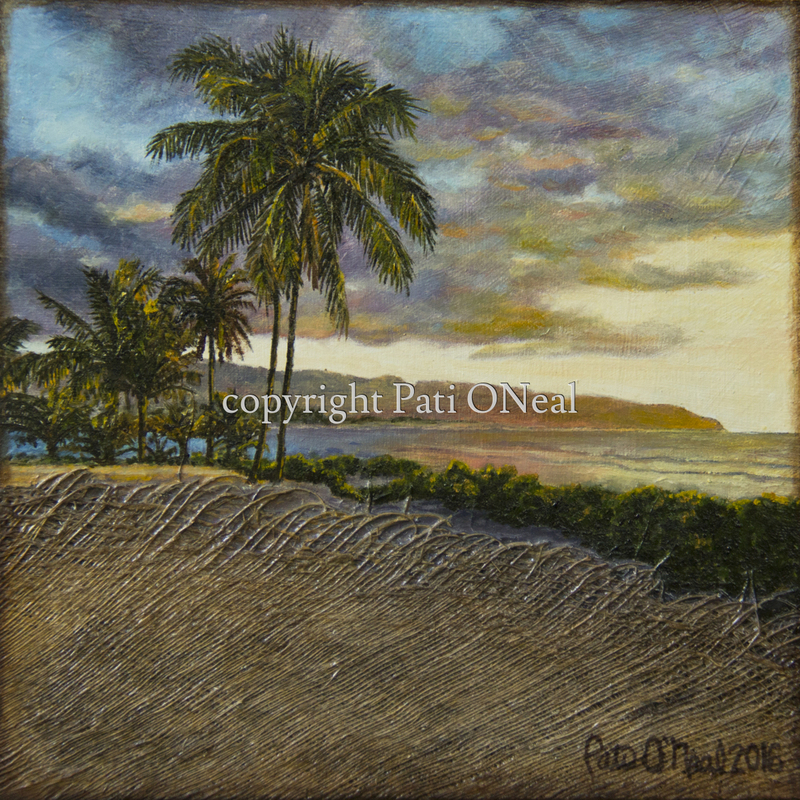 This original painting is done in oils on a cradled panel mounted with actual coconut tree fiber. Currently available at Sunshine Arts Gallery in Kahalu'u, or contact the artist for a similar commission.